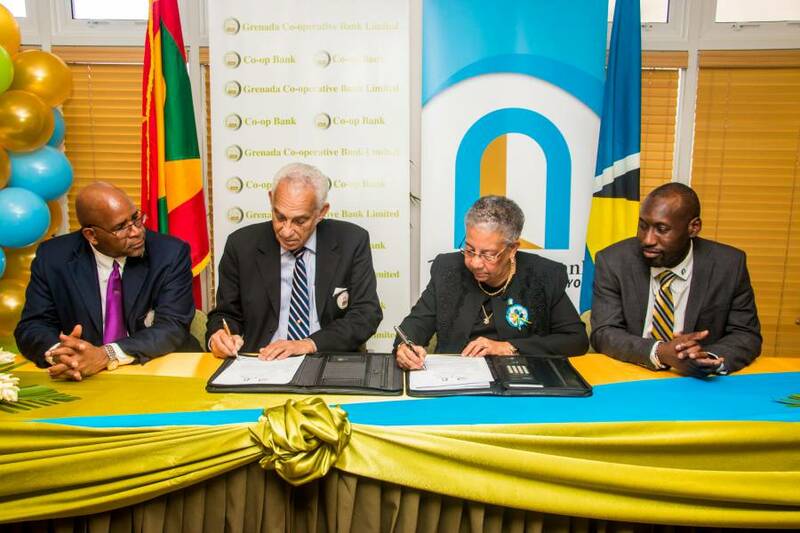 The 1st National Bank St Lucia Limited and Grenada Co-operative Bank Limited issued a joint statement announcing their signing of a Memorandum of Understanding, to govern a functional co-operation relationship of the two indigenous licensed commercial banks. 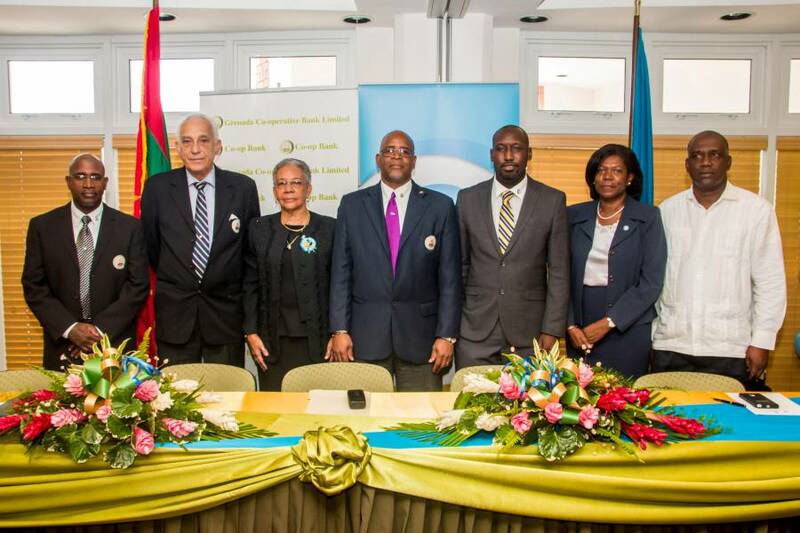 The cooperation agreement was announced at a Press Conference held at the Gordon V Steele Conference Room at the Grenada Co-operative Bank Limited, by the chairpersons of both banks. Mr Derick Steele, Chairman of the Board of Co-op Bank, remarked, “We often described ourselves as like-minded banks, but this is not just a catchphrase. 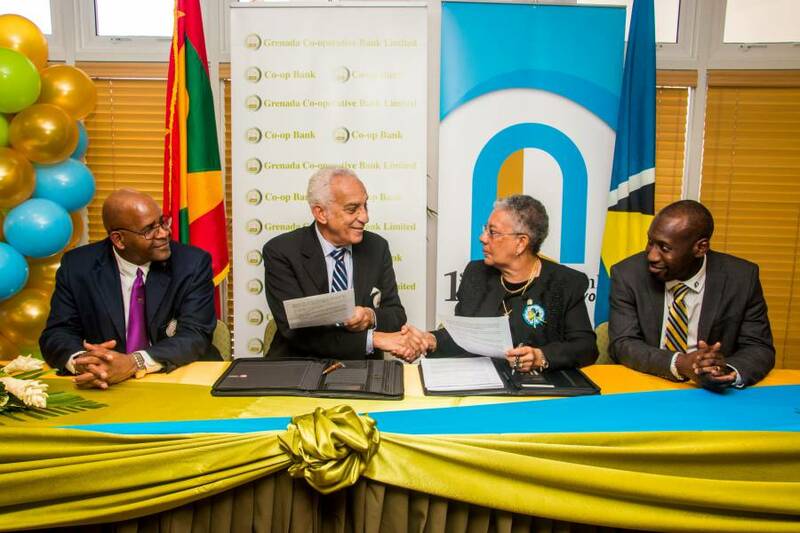 After Grenada Co-operative Bank was established in 1932, one of our founding fathers and the first General Manager, Sam Brathwaite, travelled to St Lucia to assist in the establishment of the St Lucia Co-operative Bank in 1937, which rebranded in 2004 as 1st National Bank St Lucia Limited. Our ties and connections run deep”. Under the MOU, the Banks will undertake several projects and initiatives; share technology and platforms designed to boost growth, share costs, drive profitability and improve efficiency. The Design and Implementation a new Credit Operating Model: to improve capabilities to promote the business and client services through the implementation of a new Credit Operating model. The Promotion of IT Capabilities: to strengthen processes and technologies by conducting continuous improvement programs. Dr Gardner spoke of the keen interest from neighboring banks, which was tangibly demonstrated by their presence at the press conference. She ended her statement by emphasizing that Co-op Bank and 1st National have commenced a journey to operational efficiency. The roadmap is designed to build stronger, more profitable Banks through growing our base of valuable, satisfied and loyal customers. In addressing the conference, Hon. Oliver Joseph, Minister for Economic Development, Trade, Planning & Co-operatives highlighted that Government is extremely supportive and commend both banks for their vision and foresight. He continued by saying that the financial sector’s contribution averages 10% of GDP, and it is through collaborations such as these, that will ensure an even greater contribution is made to the economy. At the end of the remarks, questions from the media were addressed by the Managing Directors of both institutions; Mr Richard W Duncan of Co-op Bank and Mr Andy Delmar, 1st National Bank St Lucia Limited.